Every year on National Day – new Swedes are invited to an official ’Fika’. We follow it through the eyes of Diego, who runs the Tumblr ”An Immigrant in Sweden”. 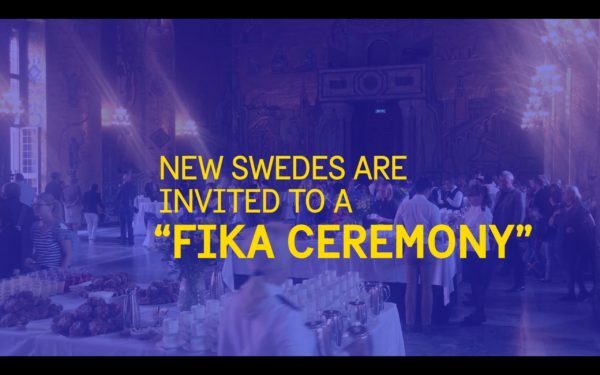 “The Swedish Ceremony” takes place in the same location as the Nobel Prize Banquet, and is for all the people who just received their Swedish citizenships. You’re not really Swedish until you have this fika!